A device assignment to a user declares that the selected user is able to view and/or modify the device details. Also, the user is able to view the reports and charts that MOREAL generates from the logs sent from the assigned device. 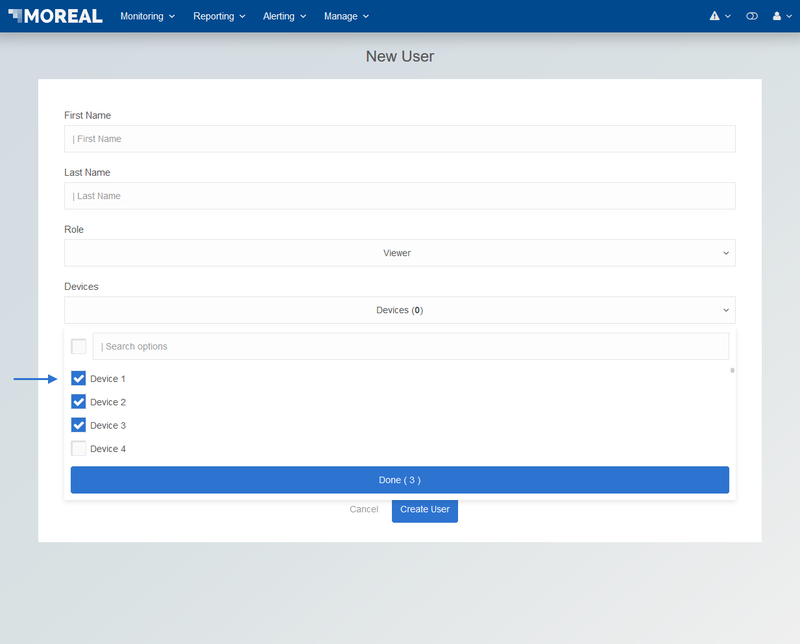 Assign multiple users to a device during the creation of a new device, or when editing a device using the multi-select user component. 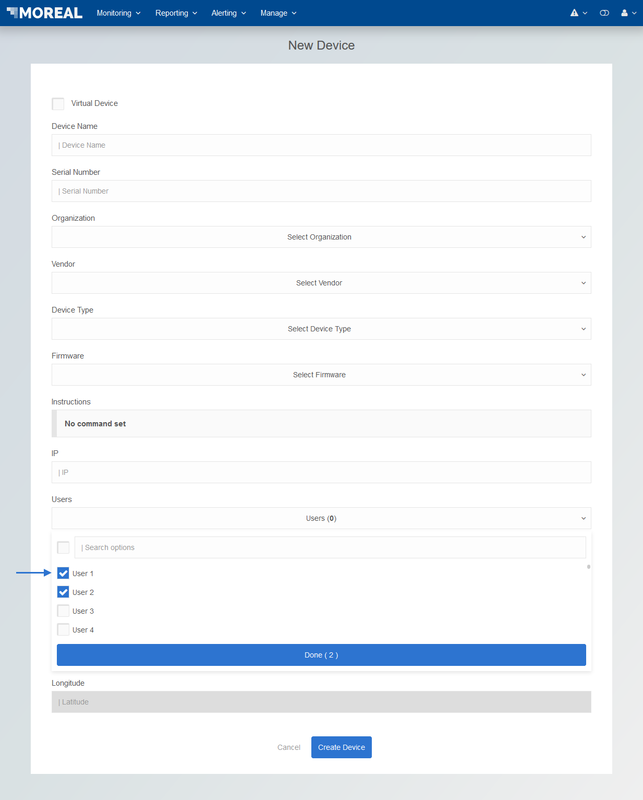 Assign multiple devices to a ser during the creation of a new user or when editing a user using the multi-select device component. Essentially, the pairing of a device and a user in any of the aforementioned methods has the same result. The different methods exist to make the device assignment easier, depending on different case scenarios.